Women's Plaid Dress Just $26.99! Down From $90! Shipped! You are here: Home / Great Deals / Women’s Plaid Dress Just $26.99! Down From $90! Shipped! Women’s Plaid Dress Just $26.99! Down From $90! Shipped! 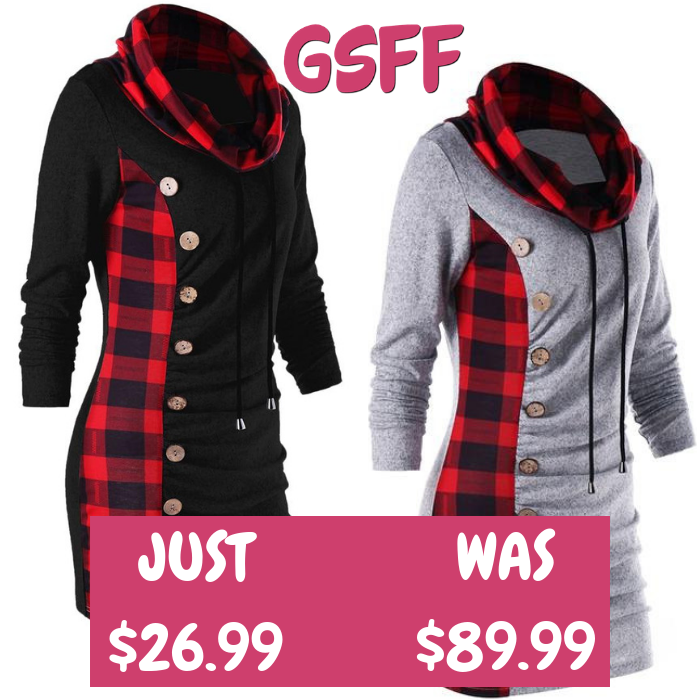 Hurry and score this Women’s Plaid Dress which is on sale at Overhalfsale.com for only $26.99 down from $89.99 PLUS FREE shipping! Ruched and button detail adds an attractive look to this long sleeve dress, featuring a cowl neckline with drawstring design. Crafted to reach just above the knee and finished with formfitting feminine silhouette, this dress is the perfect trans-seasonal piece.